Beautiful detailing and stitching. I would give five stars if the delivery of my purchases were more timely.! Delivered much quicker than expected. I purchased 22 momme sweet pajama set that are exquisite. ! 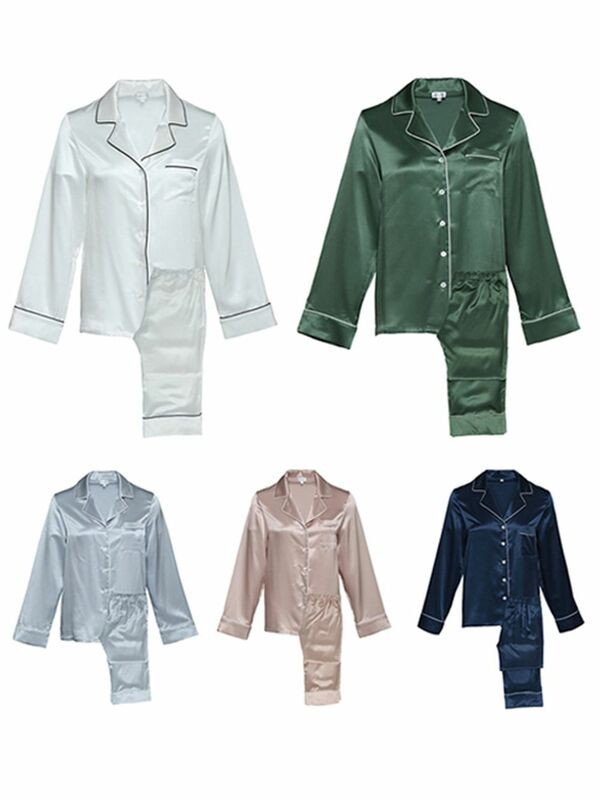 The silk pajamas are wonderfully soft and so easy to launder ! I like the fact that they are 100% silk with no cotton. They feel awesome next to my skin! I am enjoying them very much! These are well made, comfortable and attractive.! I love this pajama set. Silky soft, perfect for cool & cold weather!